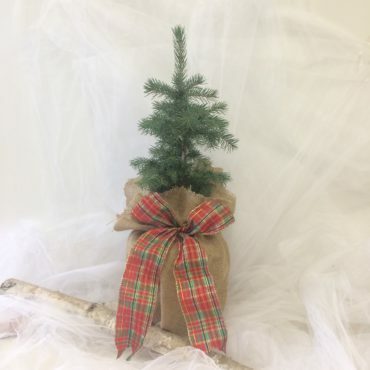 Our largest Holiday Tree available, this large Holiday tree is in a 1 gallon pot decorated with burlap and a ribbon. A custom tag is included for your personal message. 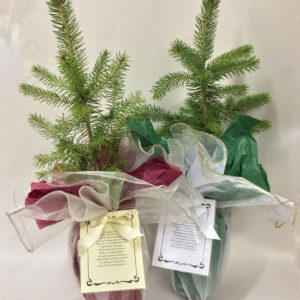 Keep in a protected place after the holidays and plant your large Holiday tree outside in spring, to grow the memories of your celebration for years to come. Ribbon pattern may vary. 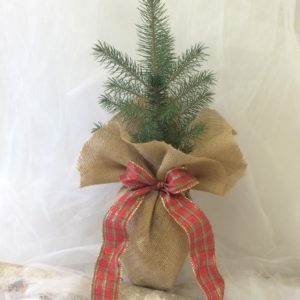 Colorado Blue Spruce - Zone 3-7Norway Spruce - Zone 3-7White Spruce - Zone 2-7I am not sure, choose the best variety for my environment.I would like more than one species. A representative will call you to verify the number of each species. 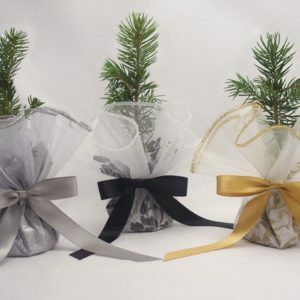 Please enter the total number of trees you want to complete your order. Zone map is on the Tree Information page. For quantities over 5000 trees, please call us for pricing quote at 800-825-5122.